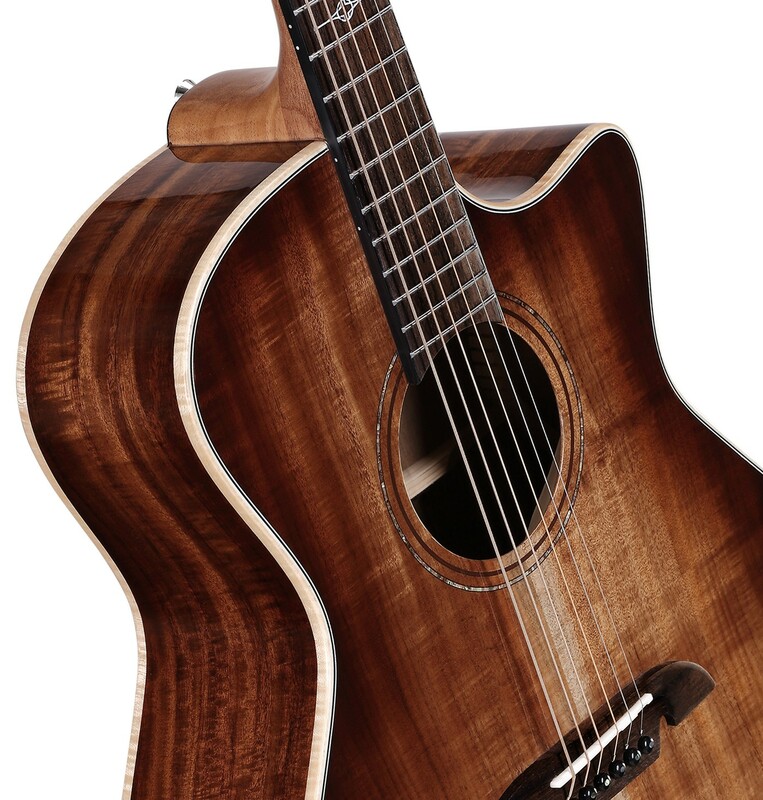 This stunning OM offers simply incredible craftsmanship, tone and beauty. Our flawless Shadowburst finish looks fantastic over the solid mahogany top and the hand crafted Paua abalone purfling frames the body beautifully. 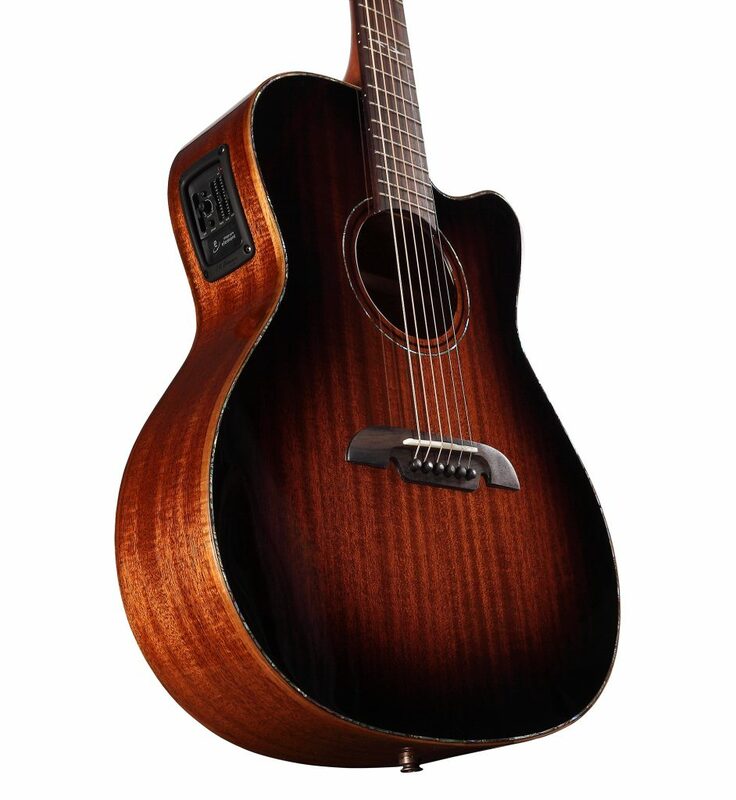 This acoustic electric model is fitted with the fantastic LR Baggs Element pick up and StagePro EQ for optimal live performance. Nothing can really match a guitar made from all-solid wood. The deflection of the notes is quicker, the quality of the sound is better, you can obtain optimal response and the sound of your guitar will improve as it ages. After 50 years of making guitars, continual improvement through the use of emerging technologies, processes, and materials is still at the heart of our culture. Alvarez guitars are constructed correctly in every sense, from raw material preparation to construction and manufacturing processes. Our tone woods are carefully cured; our components such as neck blocks and wood joints are carefully designed. The painting, sanding and polishing techniques we use are continually researched and developed, and our tone is impeccably crafted and married to a stable, consistent and lively sound box. 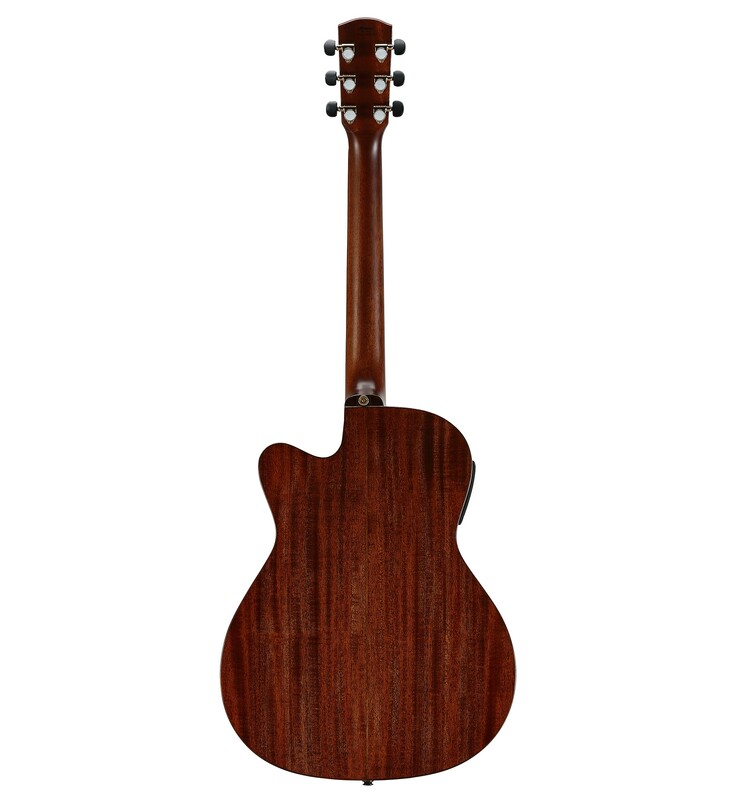 We believe our Masterworks Series is the best value all solid guitar line in the market today. 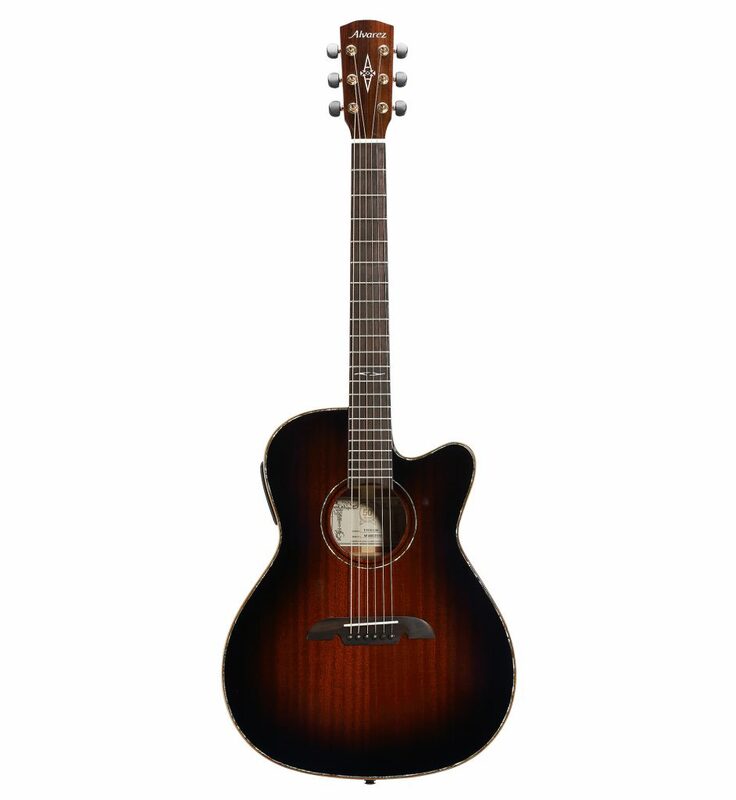 Their specification is incredibly high in relation to their cost and they perform as all solid professional guitars should, with fantastic response and projection. 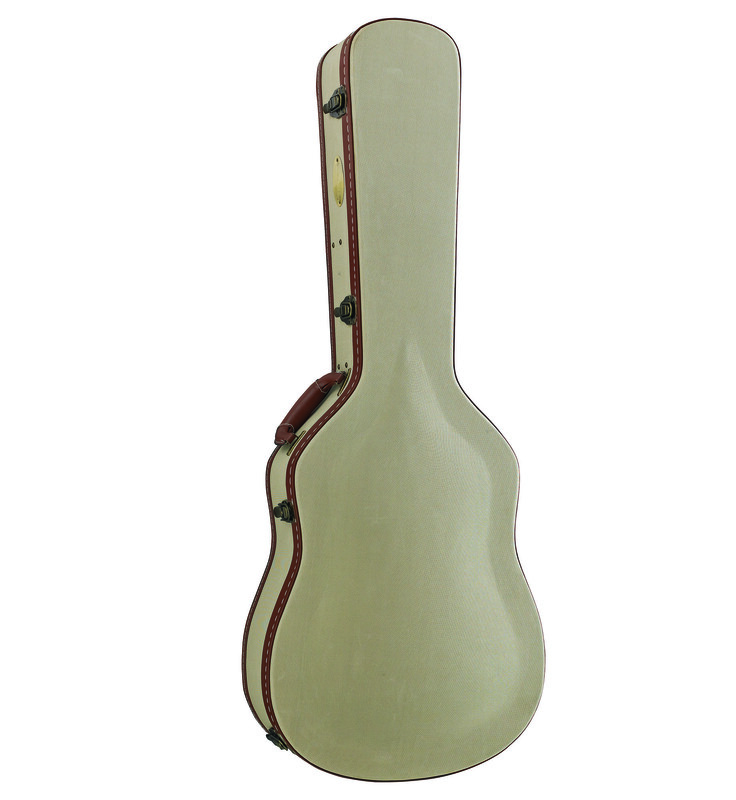 The term “all solid” of course refers to the guitar top, back and sides being made of solid wood rather than laminated. 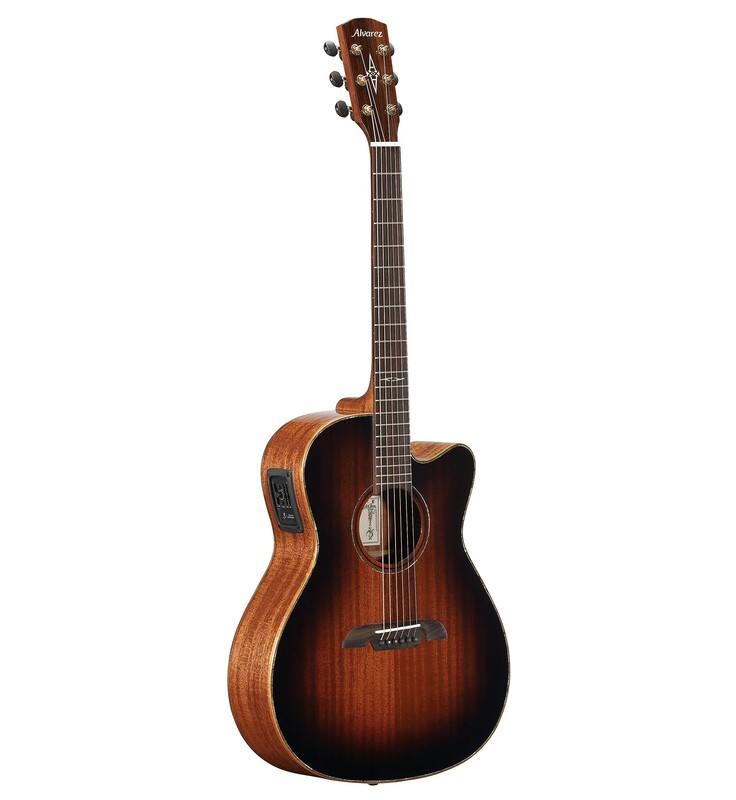 However, just because the guitar is made of all solid tonewood, it only performs to its full potential when it is designed to get the best out of its materials and components. As the tops we use in Masterworks are very high quality we can make them a little thinner to heighten vibration. The radius of both the top and back are also refined to help increase volume. 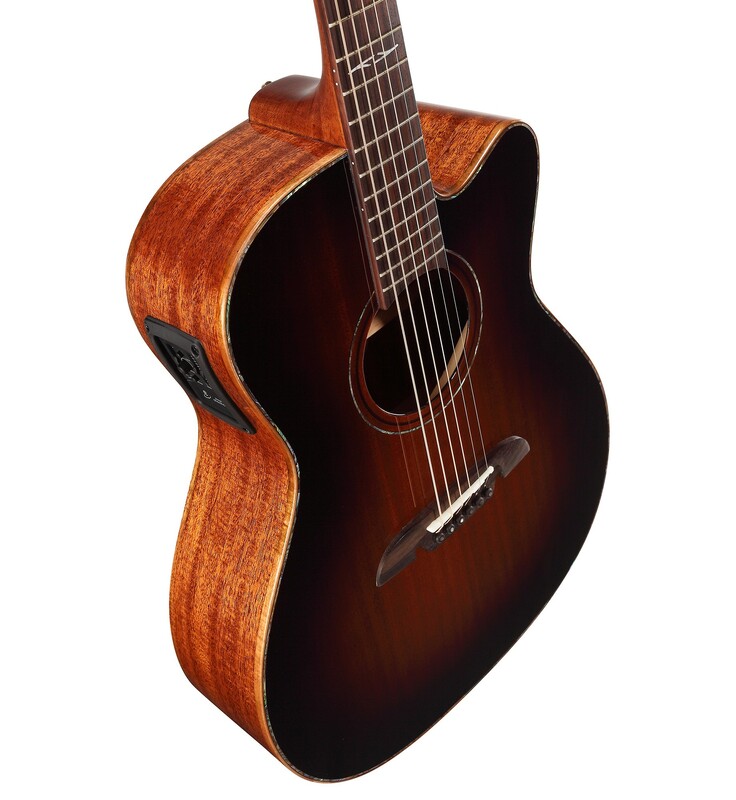 Each guitar is designed to get the best out if its components, and for them to work together. These components include our FST2 bracing system, bi-level rosewood bridge, real bone nut and saddle, carefully seasoned tonewood and a thin finish. FST2 is a forward shifted X brace design, this means the axis of the X is closer to the sound hole and therefore creates a larger soundboard area allowing for more energy and vibration to be harnessed. Both the X braces and asymmetric tone bars are carefully scalloped. The scalloping design was the result of years of continual development in our Yairi workshops. The Masterworks personality is open and powerful. FST2 also creates very good balance so both the treble and bass registers are clearly present and balanced in relation to each other. All of our tops are selected by our team and graded independently of our suppliers. If it isn’t worthy, we won’t use it. Top quality in Masterworks is at least AA grade. Along with a more angled headstock, our bi-level bridge increases string tension by making the break angel of the strings from the saddle to the top more acute. Improved string tension adds to our sound, feel and response, which are also heightened by the use of real bone nuts and saddles. Masterworks Series also demonstrates our great finishing capabilities; the gloss models have a clear deep shine from a finish that is applied as thinly as possible, again to help optimize tone. Thank you for choosing Alvarez.